The ThinkCentre Edge 71 is easy to set up, easy to use and easy on your budget. Make your small business stand out with the sleek, dependable ThinkCentre Edge 71 desktop tower that blends right into your bustling work environment. 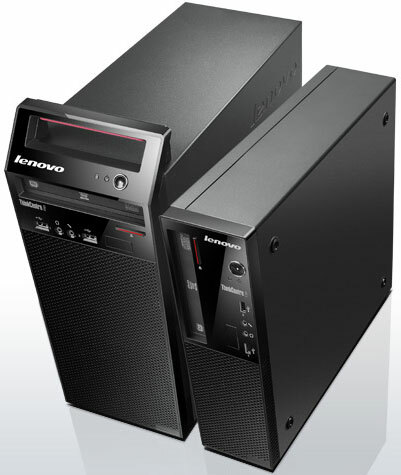 The ThinkCentre Edge 71 delivers easy access to HDD and memory making upgrades and maintenance convenient. It also has a lightning-fast, 24-second PC boot time along with dual-independent display (VGA + DVI) allowing you view your desktop on multiple monitors.